Ariba Powercare stock an extensive range of Cable Protectors available to hire across the Events, Entertainment, Utilities, Plant and Military Industries. 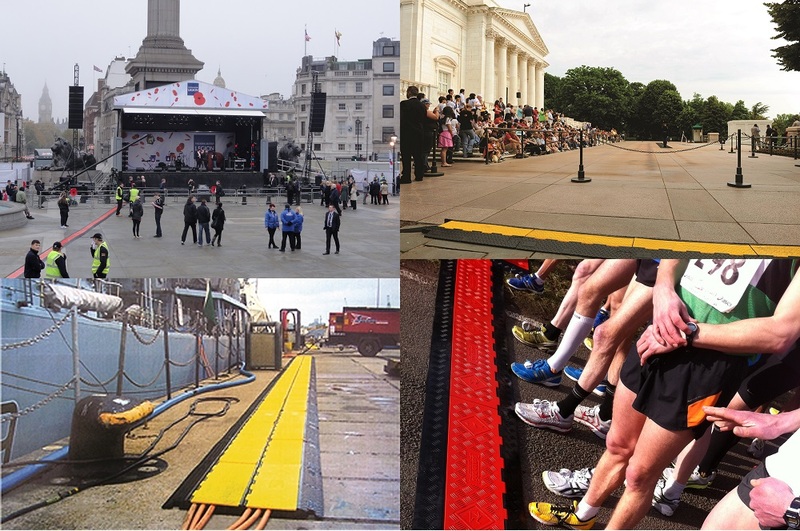 Our Cable Protectors are utilised at a huge range of Events, from Music Festivals and Film Sets through to Airports and Mining sites. Whether it be a single or multiple Cables and Hoses you require covering we have solutions to meet all needs. From the Guard Dog Low Profile Range that are perfect for high volume pedestrian areas such as festivals, fairs and conferences through to our Linebacker Heavy Duty Cable Protector which can handle vehicles up to 18,280kg per axle, making a perfect solution for Road Crossings and Heavy Industry Applications. Ariba Powercare stock the solution to any Cable or Hose crossing problem. Full specifications and Images of the Cable Protectors are available in the the products for sale section of our website, Though if you have any doubts if a cable or hose you have will fit in a channel or simply want to know what the best ramp for your job is, always best to give us a quick call. For further details and pricing on our full rental fleet please contact us through the form below detailing which cable protectors you are interested in or call us on 01908 587060.